Opened in 1986, Bryant & Cooper had the audacity to take on the great steak houses of Long Island. Soon, they were not only in the game, they were winning it. Gillis and George Poll learned from their father about quality and freshness of the food they served. They wanted to offer the best of the “basics”: a great steak, fresh grilled fish, vegetables at their peak to complement the main dishes. An extensive wine list for even the most discerning palates rounds out the experience. Soon, they were welcoming in regular customers from around Long Island who were drawn to the dark paneled interiors, the warm service and exceptional food. For some, it became like a second home; a place to bring business associates during the week, or the family for a hearty meal on the weekends. 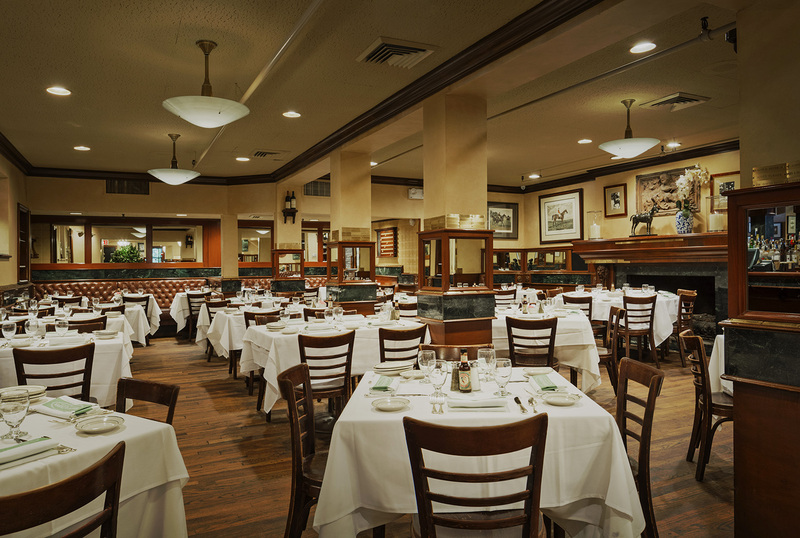 Over Twenty five years later, Bryant & Cooper is rated the best Steak House in the area, known for their welcoming style and the freshness of their approach to food and the customers they have come to think of as family. Bryant & Cooper is open daily for lunch and dinner during the week and for dinner on the weekends.